If you don’t like horror, but love Halloween, get in the Halloween spirit with Halloween themed TV shows! 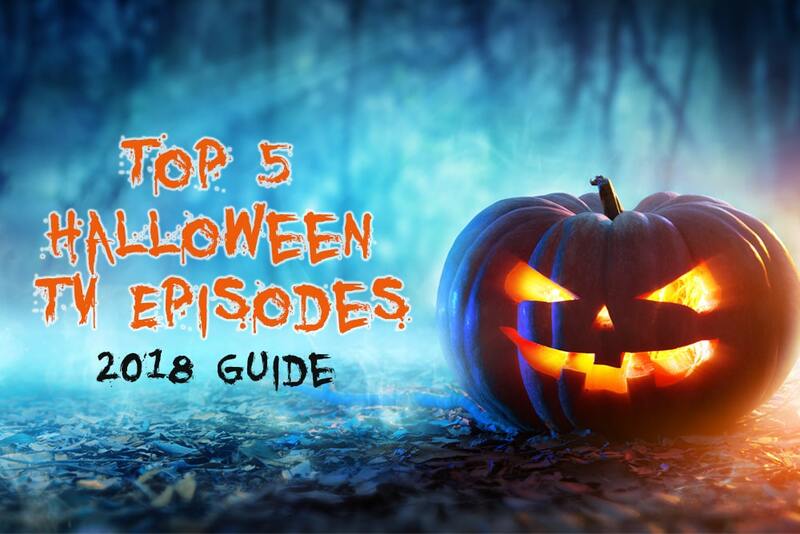 We’ve created a list of our top 5 best Halloween TV episodes, from classic TV shows to currently in season shows. These episodes are comedic and geared towards adults, but not explicitly off limits for older children. In the most recent Bob’s Burger Halloween Episode, Linda takes her three kids trick or treating and has a terrifying run in with the wolf that has been terrorizing the whole neighborhood. Meanwhile Bob has a broken leg and his meds are making him have some fairly erratic behavior. In the most recent The Simpson’s Halloween Treehouse of Horror episode, each of it’s three segments are as equally creepy, frightening and disturbing. Springfield is overrun by plant body snatchers, there’s a frightening sleepover at the Van Houten residence and Mr. Burns opens up an experimental Jurassic Park themed retirement home. All Simpson’s fans know that the Treehouse Of Horror series has been running since the very first season that The Simpson’s aired. If you’re a Simpson’s fan now or back from it’s early days, there’s 29 more Treehouse of Horror episodes to watch – airing back from October 25, 1990 and every year since. This first ever Halloween themed episode in The Office. Michael has had all month to fire someone by the end of the month, but has put it off until now. His attempts to figure it out on the fly to appease his boss Jan ruins the Halloween party vibe. All real The Office fans know that there’s actually 5 Halloween themed episodes in total including “Employee Transfer” in season 5, “Koi Pond” in season 6, “Costume Contest” in season 7 and “Spooked” in season 8. In this seemingly regular Halloween episode, Monica and Chandler host their own costume party and invite everyone. The drama heats up fast with angry Chandler in a pink bunny costume, Phoebe ratting out all of Ursula’s lies to her “fiancé” and Rachel epically failing at handing out candy to all the neighborhood children. This is the only Halloween episode in the entire Friends series, but if you love Friends and love Halloween, this episode is a must watch this year. In this classic miscommunication packed episode, Niles hosts a Halloween party where everyone has been asked to dress up as a character from literature. Crazy rumors fly with little evidence to perpetuate them and Niles is dressed as Cyrano de Bergerac. If you love Frasier, also check out the episode “Room Full Of Heroes” in season 9, episode 6. In this episode Frasier hosts a personal hero themed Halloween party. Calling all regular movie watchers and movie buffs – it’s not too late to check out our 31 Days Of Halloween Movie Guide! There’s a mix of everything from classic Halloween movies to comedy to horror. There are rated across the board to watcher beware!